With 67% of the buyer journey now done digitally, consumers are more in charge of their own buyer journey than ever before. In fact, it’s estimated that B2B are typically 57% of the way to a buying decision before reaching out to sales! And this pattern only seems to reinforce itself with Gartner Research reporting that by 2020, over 85% of the decision will be made without any human interaction. It’s a clear sign that we as consumers want to serve ourselves, on our own time and without being bothered before we are ready. It’s a question of convenience. But how exactly do you win the sale without any personal contact? At Pagely they are currently taking a new and innovative approach to this challenge, by leveraging interactive video. Visitors are invited to take part in a video experience where the content changes depending on the person interacting. The beginning of Pagely’s interactive video. Click here to try it yourself. 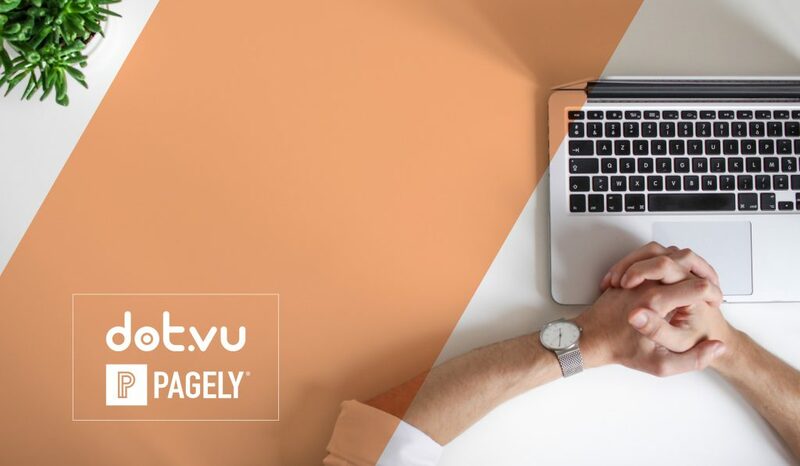 By offering this, Pagely manages to deliver a self-service option for visitors, enabling them to explore a consultative sales experience without ever actually engaging a human. 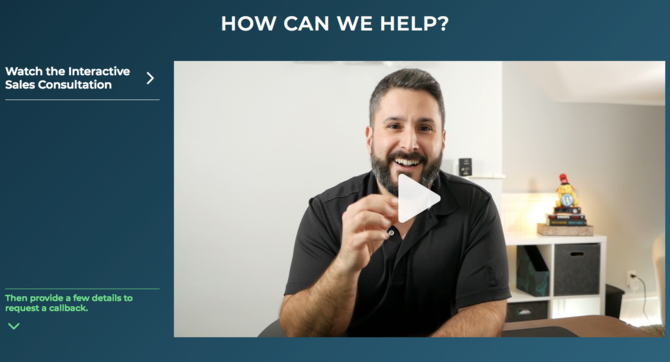 Not only is this a great experience for the customer, but all the interactions are also simultaneously being tracked and sent directly into ActiveCampaign and used to trigger highly-personalized follow-up—before a live rep ever connects with the prospect. So, when sales reps then do decide to get on the phone with these new contacts, they have more background information about industries, specific challenges and current setup! Setting up self-serve video content had fast results — 30 more sales leads and an 8% lower bounce rate on the quotes page in just 3 months. They’ve even managed to get sales directly from the video experience, which is something that happens very rarely. Overall, they are seeing an increase in leads for sales to follow up with—and that fewer people leave Pagely’s website without getting in touch. Even better, the new leads that do get in touch with sales have already gone through the beginning of the sales process (and are therefore more qualified). Pagely has also seen a number of very positive tweets and emails from people who appreciate being able to engage with a sales rep without actually having to book and attend a call. Get started on creating your own interactive video right now.